Is DIRECTV NOW’s DVR app what you’ve been waiting for? Well, wait no more. DIRECTV NOW released its DVR app today! This is just one of many features that AT&T added to its DIRECTV NOW streaming service. While we know this is exciting news for many DIRECTV NOW users, there’s just one thing you need to know – this release is still technically considered a beta. More to the point, does this even matter to DIRECTV NOW users who’ve been waiting for the DVR? We won’t keep you in suspense any longer. Let’s dive right into DIRECTV NOW’s DVR app. This free version was released today to all DIRECTV NOW users. It offers up to 20 hours of free recording that you can store for up to 30 days. DIRECTV NOW also plans to offer more storage space and time for a price. For just $10 a month, you can record up to 100 hours of programming and store it for up to 90 days. This should be enough for people who regularly record their favorite shows to watch later. A new interface, more concurrent streams, and improved local channel options are some of DIRECTV NOW’s other recently released features. Today, users will see that the their DIRECTV NOW browser works with iOS and Apple TV. Versions of the app will be rolled out to Android, Fire TV, and Roku in the coming weeks. The company also added a picture-in-picture video preview of whatever viewers are watching with the app. 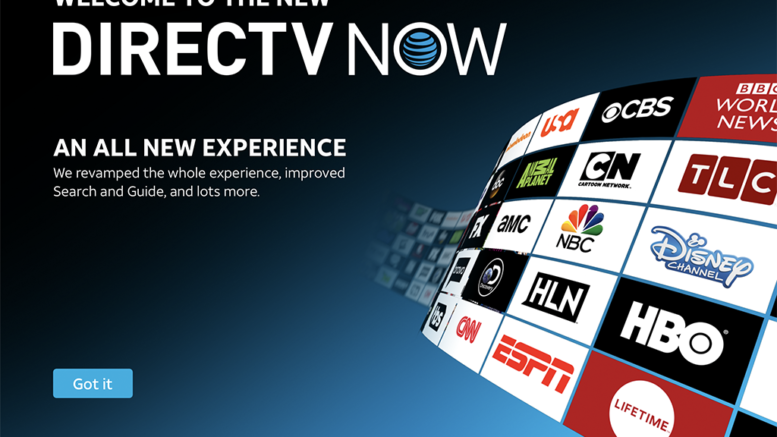 For $5 per month, DIRECTV NOW customers now have the option to add a third stream to their subscriptions. This is one more than the two concurrent streams that DIRECTV NOW currently offers. The way the streaming service provider handles local TV affiliates is another thing that users might find exciting. Apparently, customers can watch their local TV affiliates when they’re on the road. At first, we thought this was a glitch in DIRECTV NOW’s system; but now, it seems like a regular feature similar to what YouTube TV offers. It’s still not clear whether or not it’s going to stay, though. To keep our readers informed, we continue to watch DIRECTV NOW and other streaming service providers. Whenever any of these companies has some news to report, we’re happy to report it. We expect to be discussing streaming services on a regular basis, given the constant rate of evolution from the providers. Whichever streaming service grabs the headlines next, you can count on Solid Signal to deliver the details. Stay tuned in the next few days for a more comprehensive review.